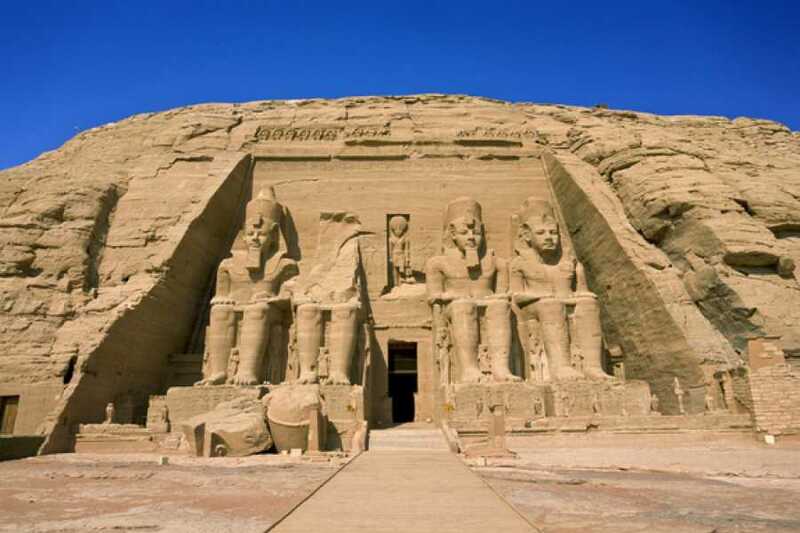 A private tour to see the magnificent temples of Abu Simbel by flight from Aswan. This tour provides you with a personalized Abu Simbel tour with a qualified Egyptologist as your guide. The Abu Simble temple with its four rock-hewn pharaohs, you'll agree that the Great Temple is one of the most impressive sites in Egypt, and the highlight of any trip to Egypt. Pick up from your hotel in Aswan and transfer by deluxe air-conditioned coach toAswan airport for your flight to Abu Simble. 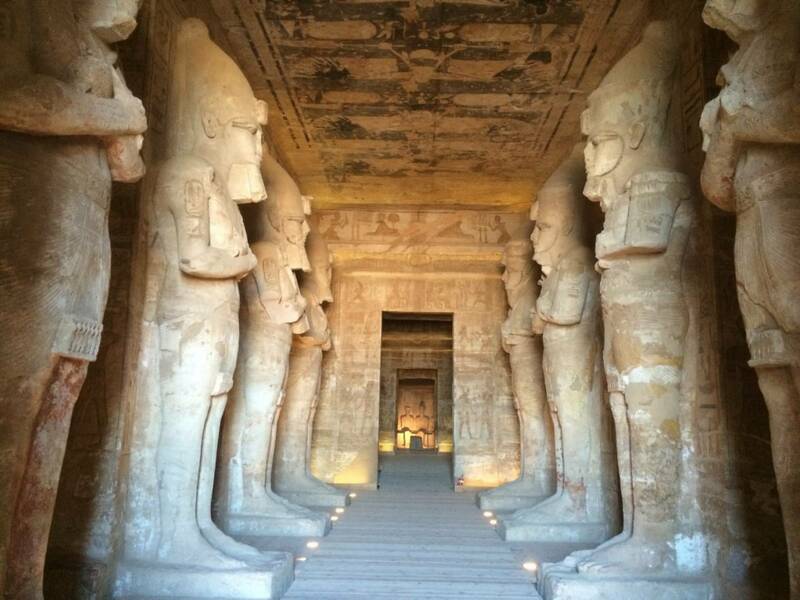 Upon reaching the temples your guide will give you explanation of theThe two temples of Abu Simbel, the Temple of Ramses II and the temple of Hathor (the Sun God) dedicated to his wife Nefertari. These temples were cut out of the sandstone cliffs more than 3,000 years ago. 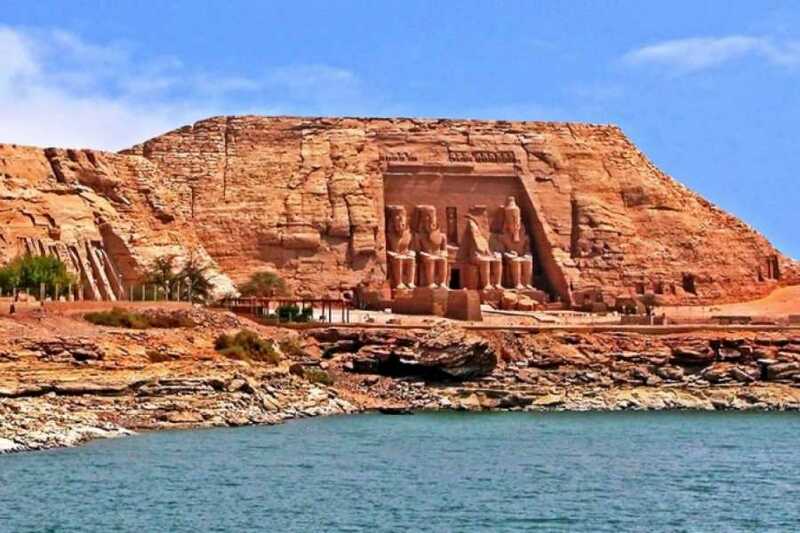 Not only are these temples among the most magnificent in the world, but also their removal and reconstruction are recorded as a major historical feat during the construction of the High Dam on Lake Nasser. 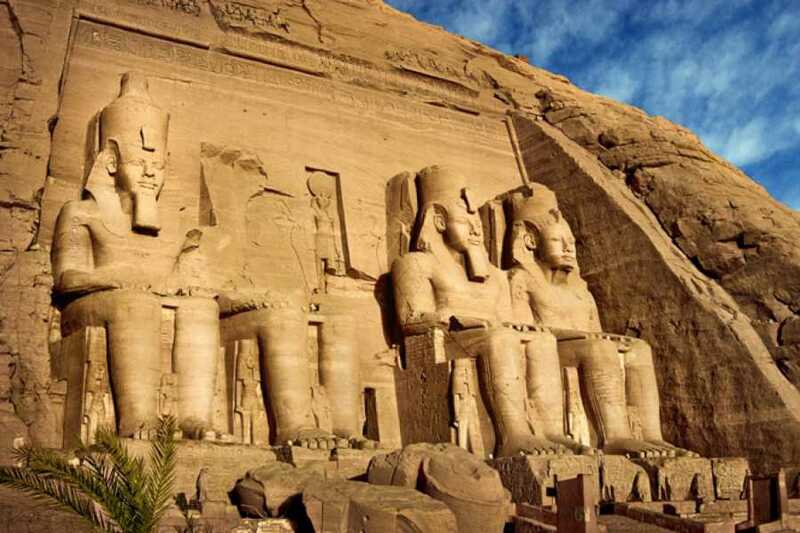 The monuments were threatened with submersion, and after an appeal by UNESCO in co-operation with the Egyptian Government they were dismantled and reassembled exactly, about 197ft (60m) higher up. 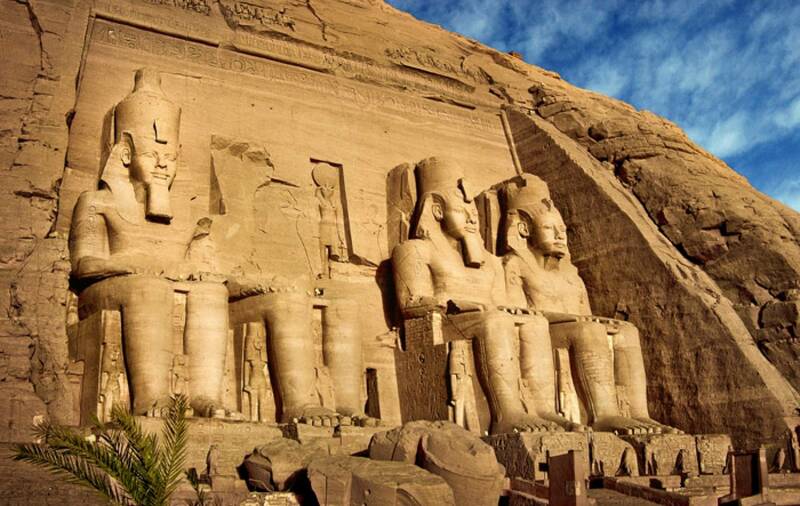 Abu Simbel was carved into a cliff on the banks of Nile as a grand display of the power and territory of Rameses the Great. Anyone coming down the Nile from Nubia would sail beside it. It's grandeur was meant to intimidate and awe. 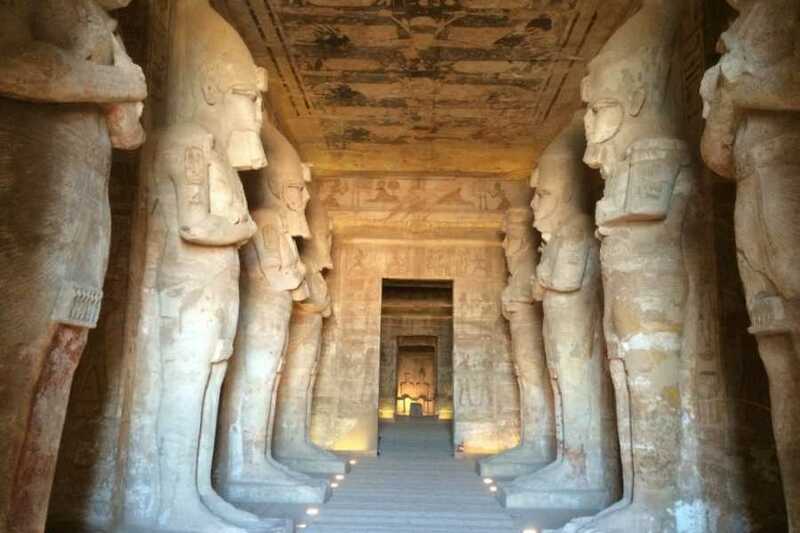 The sight that first greets the visitor is that of the four colossal statues guarding the entrance to the Grand Hall of the Temple of Ramses. It was a reminder that those who passed beneath the giant statues were under the governance of the Pharaoh and subject to his majesty. 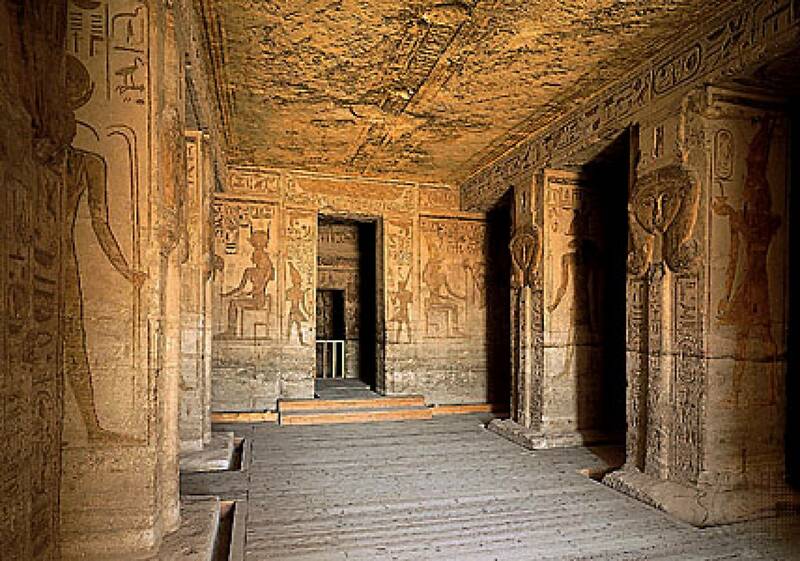 The interior is highly decorated with relief paintings and is supported by eight statues of Ramses acting as giant pillars. Leading off the hall are painted sanctuaries and chambers. 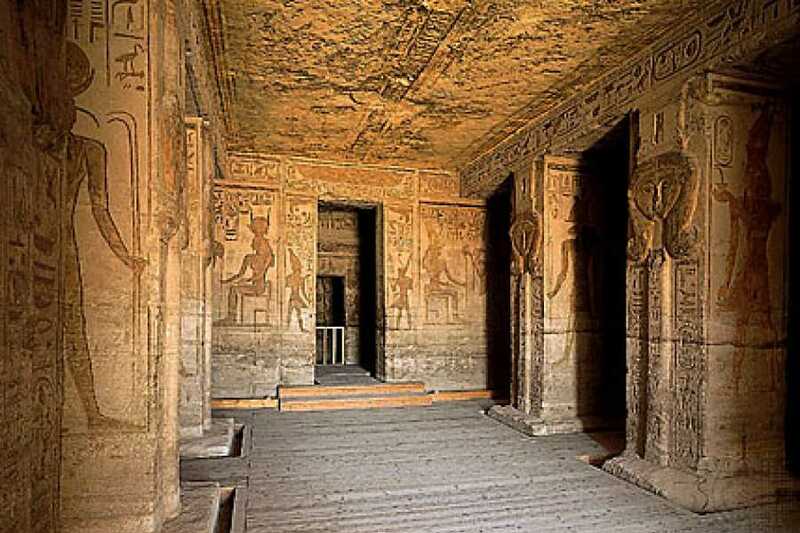 The Temple of Hathor is smaller and simpler, also with statues guarding the entrance and a manifestation of the Sun God portrayed above. It is aligned in such a way that the sun's rays reach inside to illuminate the statues of Ptah, Amun-Re, Ramesses II, and Re- Horakhty twice a year. 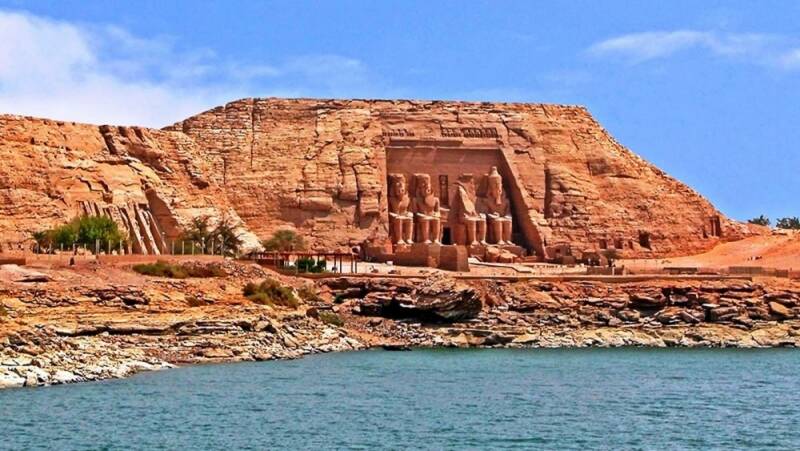 You will have a free time at leisure to explore the area of the temple where the scenes of lake Nasser and the desert sand adds beauty to the area. You will have time as well to explore the visitors center where Unesco built to document the relocation of the temples.